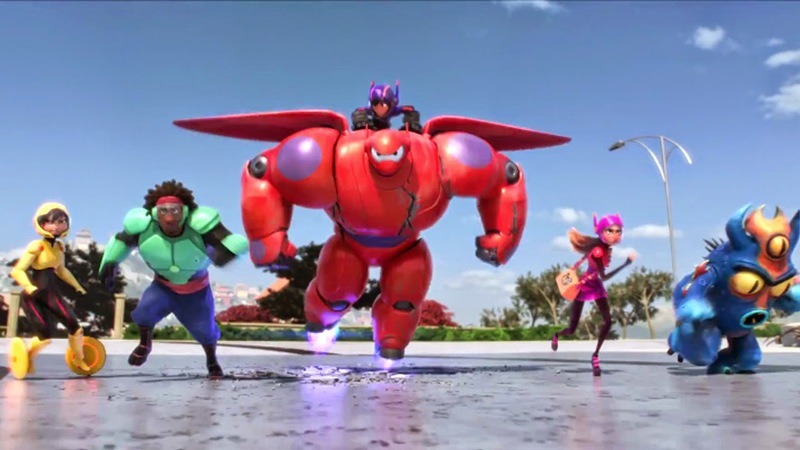 All the way back in May of this year, I discovered the first teaser trailer for Big Hero 6, and the silly inner child in me immediately came crawling out. Not so much because of my own reaction to the brief glimpse into the new Disney creation, but because I anticipated the overwhelming response it would receive from the seven year old trying to count sheep in the other room. So I did what any responsible adult would do on a school night: I crept into her room just as she was about to fall asleep, and I showed her the trailer. She couldn't fall asleep for another 45 minutes at least, she just kept talking about how cool it looked. That's my girl. For roughly six months now, she has been literally counting the days until November 7th. At one point she actually skipped over her own birthday as a personal milestone, instead mentioning how long it was until Big Hero 6 rather than focusing on her big day in October. Therefore, for the first time in her young life, I made sure we made it out to the cinema on opening night rather than wait for a matinee over the weekend, and the look of awe and fascination on her face was just as entertaining as the film itself. The first tear that came to my eye that night wasn't because of a death on the screen or the friendship between Hiro and Baymax, it was one of joy knowing that something as simple as sitting down in a darkened room and watching a film was everything to her in that moment. I have been in that scenario dozens of times before Friday night, but this was different. This was friggin' perfect. 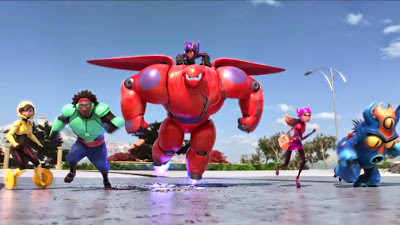 As for the film itself, Big Hero 6 is another fantastically entertaining entry into the catalog of Disney animation, a film that follows a basic yet brilliant formula to ensure a ton of tickets purchased at the window and smiles on those faces as they filed out to the parking lot after. Visually stunning, laugh out loud funny and showcasing a ton of heart, I enjoyed the film probably half as much as my kid did, and that means I had a hell of a good time. I have learned to cherish these moments I share with her, because those six months in between the teaser trailer and now went by way too fast. I tend to be a glass half full kinda guy though, so rather than dwell on the unrelenting passing of time, I would rather recognize the joy of knowing that sometime soon there will be another trailer, another chance for me to rudely wake her up to show her, and another six months to count the days before I can feel true cinematic magic in the air again. No matter what the film is that does it, whether its next summer or years from now seeing Big Hero 7, I will be there. I wouldn't miss it for the world.